DID YOU SEE THE CONSTRUCTION SIGNS? If you haven’t noticed, late last week the construction signs went up for Phase I of the Borgfeld Road expansion to begin. There are crews staking, marking, moving and getting ready for the actual ground breaking to begin. You may recall Phase I is from US281 to Timberline in length. This project was slated to begin in June of this year, and while its late getting started the project is finally underway! Be prepared for a long, difficult commute down Borgfeld from time to time if you are headed to or from 281 for the next 18+ months as this project moves through Phase I. It will no doubt test your patience but I am hopeful, and hope you are too, that the project brings an improved roadway and better capability to move in and out of Timberwood both North and South if you are not using Blanco Road. Watch for updates as they become available! Come join your neighbors in our private park for a neighborhood only concert under the stars! 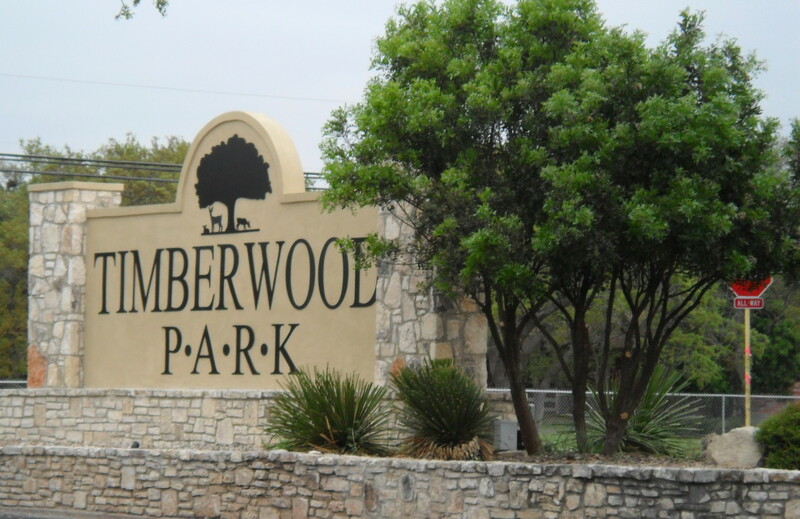 If you would like regular reminders sent to your Facebook page, like the Timberwood Park Facebook page for updates! Attending the 58th Annual meeting of GVTC (Guadalupe Valley Telephone Cooperative, Inc. )was an interesting experience. The meeting itself was the typical annual meeting with a statement of operations, financial reports, CEO and guest speakers and of course…door prizes! There was a quorum in attendance and the meeting was generally uneventful but I did learn a couple of things I thought you might want to know…just in case you didn’t already know this about the company! Depending on the amount of time you have done business with and the types of accounts you have with GVTC, you have an annual Patron Capital Distribution Account, the balance of which continues to grow with your participation in the company. Eventually, once your account has reached a certain dollar amount, you will begin to receive annual distributions back from that account. GVTC has a balance sheet that would be enviable to most companies. They have just under $160,000 in long term debt on their books. That’s incredible! Did you know the company services more than 2000 square miles of rural and incorporated areas in our surrounding communities? GVTC received the honor of being a Top 100 Broadband Provider by Broadband Communities Magazine for the past 5 years in a row. The stability of their fiber optic system is second to none in the area. They have been recognized as a Top Workplace by the San Antonio Express News and Best Places to Work by San Antonio Business Journal. Further, to its credit, it has established The GVTC Foundation, a charitable foundation giving back locally to our communities. 92% of each dollar given goes back into the community…our community!!! That is an amazing statement for any charitable organization! If you are interested in donating to this foundation, you can add it to your monthly bill as a one time or repeated donation by calling customer service and having them set you up. Of course they can also take direct donations not attached to your phone bill. From now until the end of the year, the company is matching every dollar donated to the foundation in a continuing effort to raise money for this local charity! So, what did I take away from the meeting? This company appears to be poised to take on the continued advancement of technology and its customers/shareholders will continue to benefit from its forward thinking. It is also doing great work in our local communities supporting charitable endeavors and giving back through its foundation 0perations.